xperia go in run 720p video? 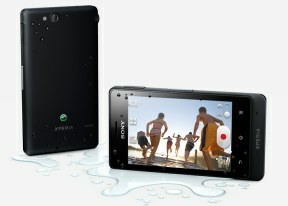 Xperia go upgradable to 4.1... Expected in march.. Read on many sites.,but im not sure..? Boss, 21 Feb 2013Hi, is this phone upgradable anroid 4.0 icecream samwd or not? if any one update 4.0, pls say ... moreit very slow when u upgrade this on 4.0.4. now i alway reset my phone every day bcoz it very very very slow special when u call or view contact. which phone is better Xperia Go or Sola ? 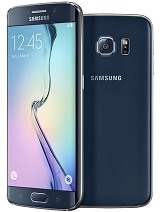 I had s3 mini before.dropped it at the beach into saltwater.phone went dead.sent for repair.salt crystal formed on the electronic board.s3 is so fragile.no ptotectiom whatsoever.water went in to the phone like sinking titanic.at least watch got rubber protection.this s3 got nothing.now i m on sony x go.seriously this is waterproof. Is it possible to change the size of text and numbers in xperia go? which phone is better Xperia Sola or Go ? 1) I hv never tried to throw my XGO on floor, nor did that happen accidentally so I cant tell exactly how resistant to scratches and dents it is. Bt 4 sure I hv tested waterproofing under the tap and used it in the rain several times. 2) Good battery backup according to me is that which gets me through till I reach home after whole day. Considering your usage it seems that you won't face any trouble with the battery. Coz two main drawers of battery juice are video playback and gaming & neither seems to be your cup of tea so you shouldn't bother much about the battery-life. AnonD-1051, 22 Feb 2013First of all tell me how long do you want your phone to last, with that usage, then I'll tell ... morei knw dat the phone is dust n water resistent bt wat abt the occasional falls did u get ny bad xperience abt the fall. i mean disply crack or the chassis coming off, etc. i will b downloading may be 4-5 songs a day and listening to them for hrs at length. aprrox. 6 hrs a day nt consistently though. I bought SX Go before 1 month, everything is fine except that it cant play HD video, it hangs and audio was not there. First of all tell me how long do you want your phone to last, with that usage, then I'll tell you whether this phone suits ur need or not. Apart from that, when it comes to music quality the loudspeaker is decently loud & not bad enough to spoil the experience, in handsfree the supplies ones are decent but don't expect too much bass. Buy a good piece of handsfree then u'll enjoy the music. how about qualiter of music in this phone is it better then xperia ssss plzz tell i waan bey one ? Q: This phone is compatible for 4g? QUESTIONS > this phone compatible on 4G ? ?